Japanese people surely love omikuji! Omikuji are random fortunes written on strips of paper that you can get from shrines and temples in Japan. 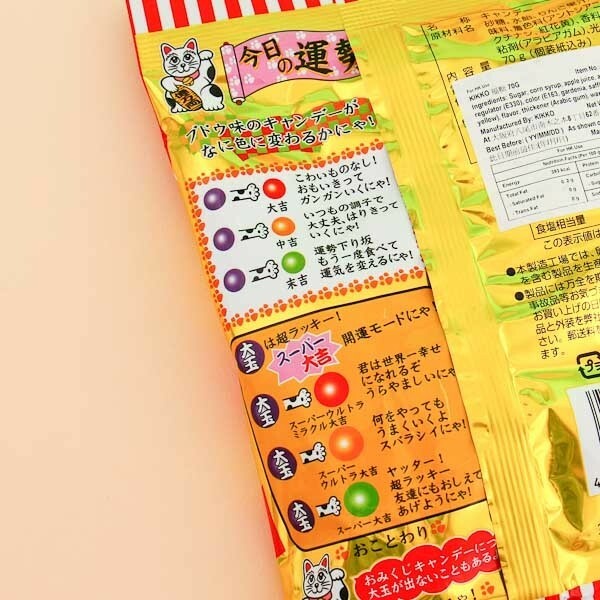 These omikuji candies have 3 flavors: strawberry, lemon, and apple. However, you will never know which flavor you get until you let the round candy ball melt in your mouth and the yummy heart to reveal itself! Read your fortune from the candy packaging to see what the future will bring to you. 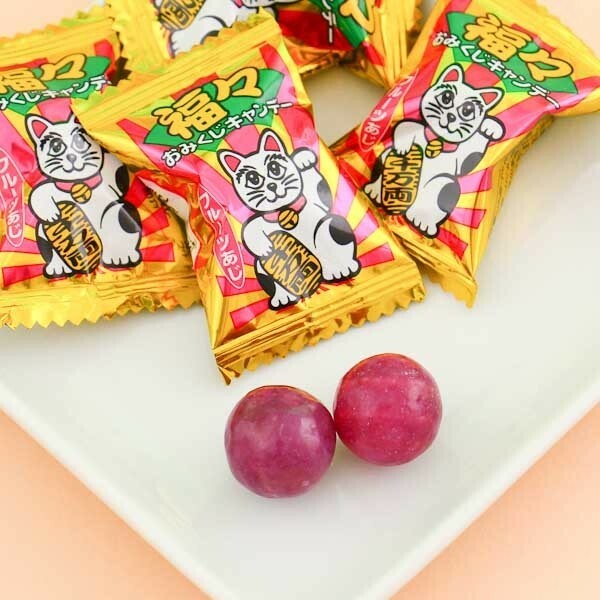 The package is even decorated with a Maneki-neko, the beckoning cat, which is a Japanese symbol for bringing good luck. 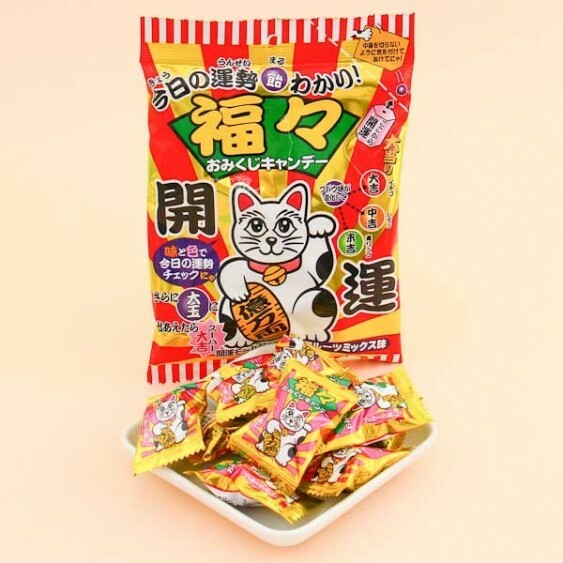 Let these omikuji candies melt in your mouth and fill your mind with visions of the future!